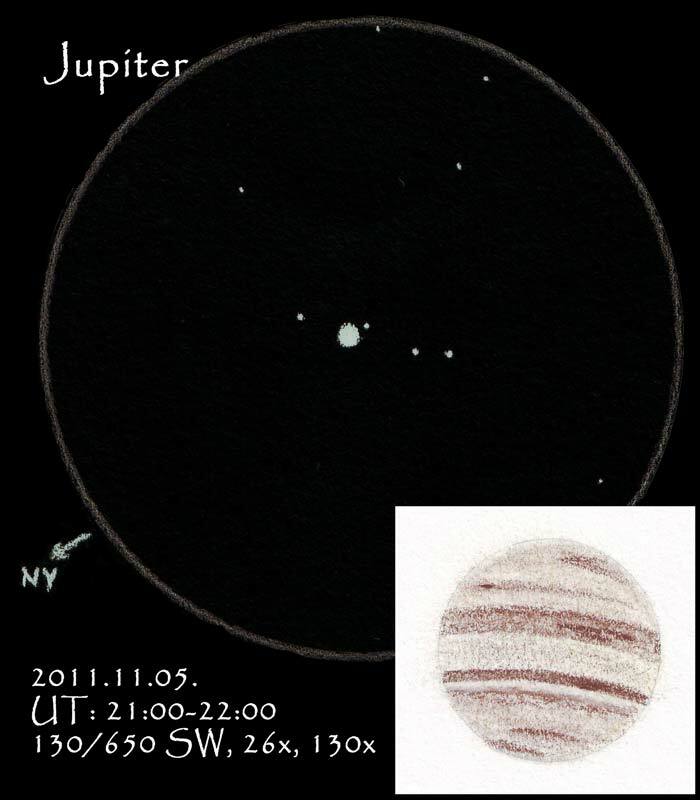 I send you here attached my sketch of Jupiter made on 5th November 2011. Although the seeing was not so good I was able to see fine details I have not seen before, so that was a lucky day. I have even seen the colour so I decided to make my sketch with colour pastel pencil. Media: brown shades of pastel pencils used on white paper. Fine sketching of Jupiter and moons.